On Saturday I visited David Drummond’s shop, PLEASURES OF PAST TIMES, in Cecil Court near Leicester Square underground station in London. It’s packed with memorabilia, including postcards, books, posters and sheet music. I found sheet music with a wonderful picture of Alice Harvey on the front. 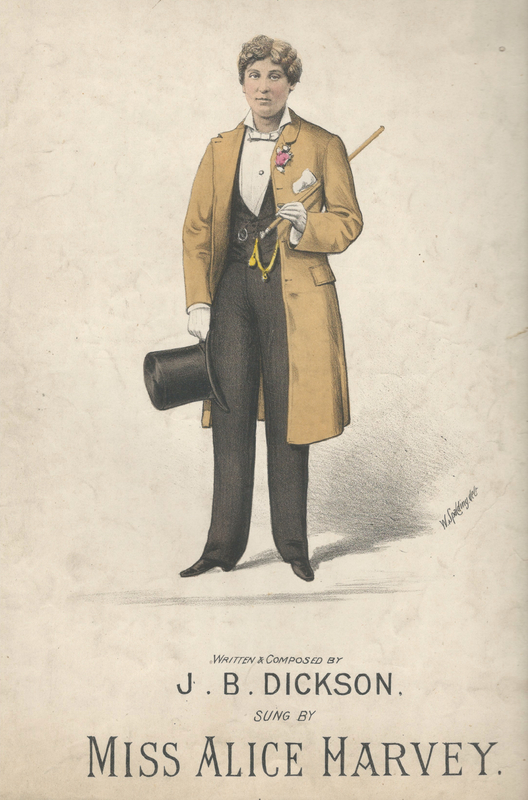 She was an early male impersonator and the song is entitled ‘Say you love me Nellie.’ This dates from 1882 and she’s dressed as a masher, a man about town careful of his appearance. She is reported in The Era, a newspaper of the time, as having great success and being re-engaged everywhere. 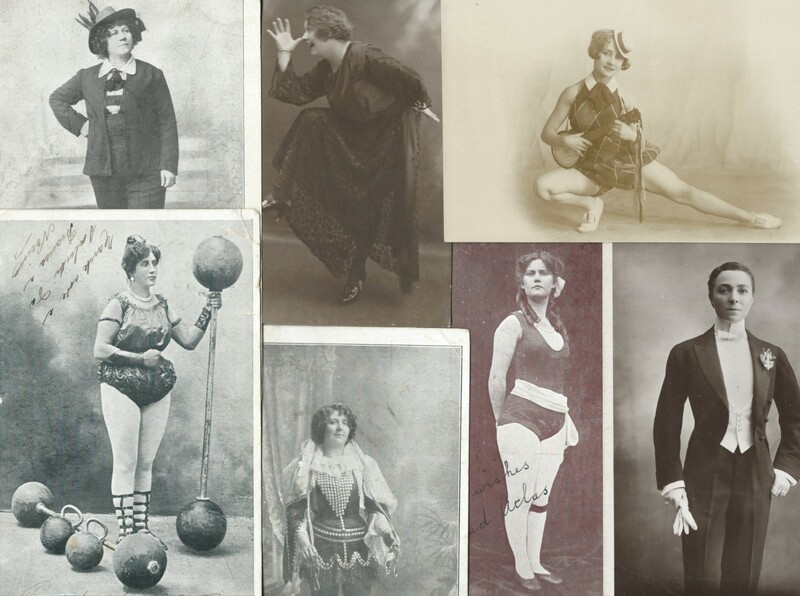 She is advertised as performing in three halls every evening which was the norm for music hall performers. They would rush to the next engagement in a horse-drawn cab, often changing costume as they went. 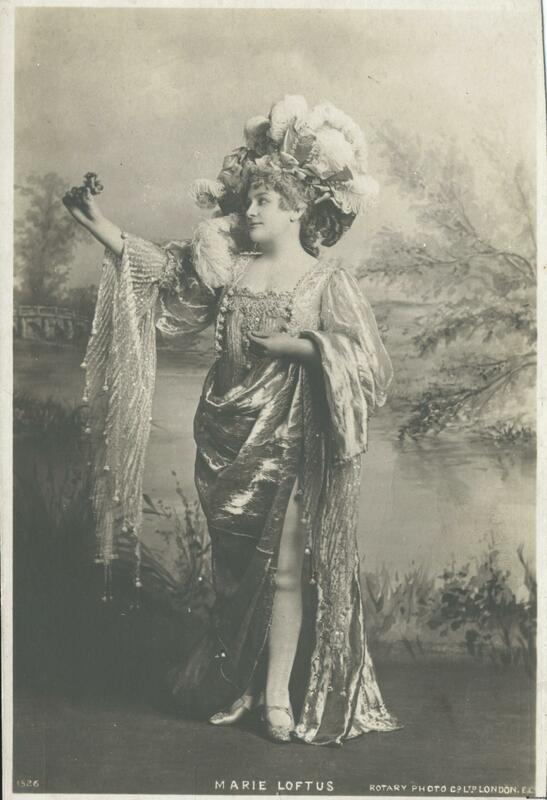 My other find was a postcard of Marie Loftus, billed as ‘The Sarah Bernhardt of the Halls.’ She was a serio-comic singer, very popular in pantomime and was a hit in America as well as here. When appearing in Brighton she travelled along the coast to Shoreham-by-Sea and took the ferry over to Shoreham Beach. She liked it so much she built a bungalow there and was the first of many music hall stars to settle on the beach. It became known as Bungalow Town with houses built from wood and old railway carriages which were pulled across the river by horses when the tide was low. I’ll be writing more about Bungalow Town and women from the Music Hall who lived there. This entry was posted in Bungalow Town, Male impersonators and tagged Alice Harvey, Bungalow Town, Marie Loftus on January 22, 2015 by Monomania.